PREVENTION HAIR LOSS SHAMPOO 250ml has been developed specially for hair weak and prone to hair loss. PREVENTION HAIR LOSS SHAMPOO 250ml provides strength, volume and force to hair thanks to its multivitamin essential complex, elaborated with the 11 most important vitamins for hair (PP, H ‘, H, F, E, C, B2, B5, B6, B12, A.). 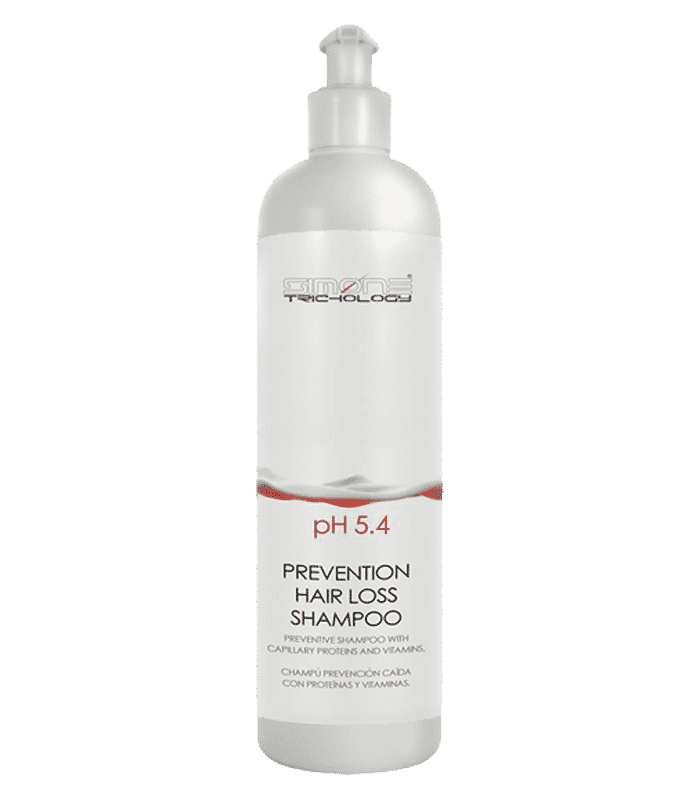 PREVENTION HAIR LOSS SHAMPOO 250ml contains essential trace elements, which have a powerful action on the hair follicle metabolism, enables and enhances the microcirculation of the scalp, reduced in persons with propensity to development of premature baldness. Acts against premature capillary aging. ATP Oxygen Equilibrium Shampoo 23,89 € VAT incl. Science Control Hair Loss Treatment 100ml 43,35 € VAT incl. Dandruff and Scalp Care Shampoo Professional 26,77 € VAT incl. Nutri-Fiber Moisturizing Shampoo 16,79 € VAT incl.